Serve our Mixed Greens with Mediterranean Vinaigrette alongside your favorite entrée. 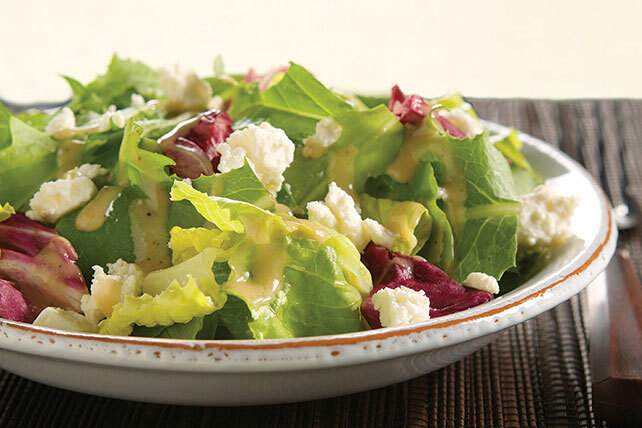 Explore our Mixed Greens with Mediterranean Vinaigrette recipe today. Blend first 5 ingredients in blender until well blended. Add oil; blend 15 sec. Place greens in large bowl. Add dressing; toss to coat.